Attendee: Tetsu Yonezawa, Workshop member. 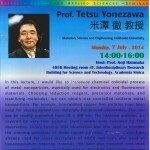 Talk in National Central Univ. 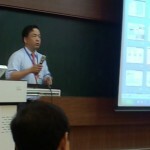 Lecture in National Taiwan Univ. Metallic titanium and titanium sub-oxide nanoparticle-dispersed urethane resin production via Molten Matrix Sputtering technique.